(This applies to shared files from any online file storage service such as Google Drive, Amazon S3 and so on, assuming they provide a public link to the file – it would be very unusual if they don’t). clicked will open up the shared file in a new window. 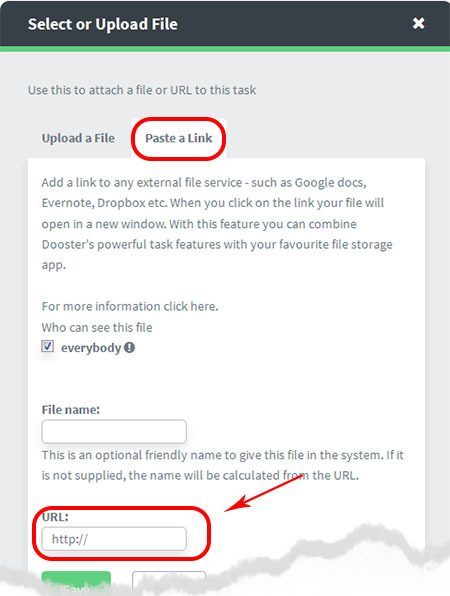 You can also add shared files from Dropbox, Evernote, Google Drive, Amazon S3 etc to Dooster into your Global library / Project files screens. Do this in the same way you would a normal file. 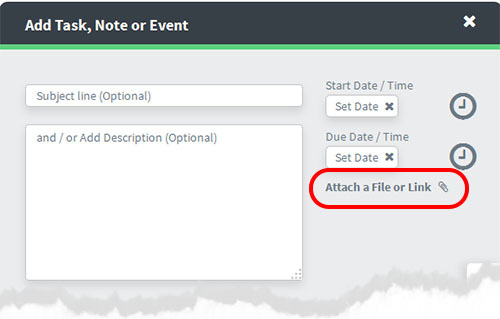 Simply use the “From a Link” form which appears next to the “From a File” form at the top of the library screen. Next Article »	Who can see the Files?